Remember when Kim Kardashian entered a new, brighter, blonder stage in her life just a few short weeks ago? 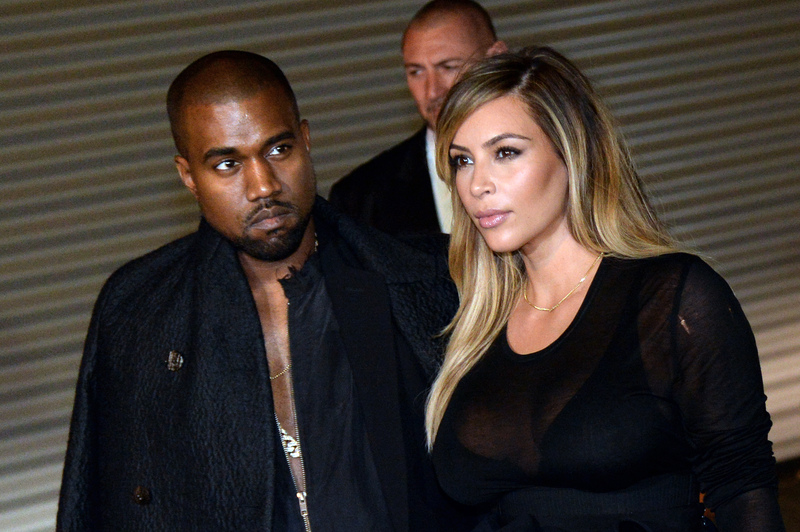 Well, Kim K already returned to her dark roots (apologies for the pun, guys). That said, we're not even close to done talking about that platinum blonde 'do. How did Kim dye her blonde hair brown so quickly? Luckily, her hair stylist, Lorri Goddard, knows exactly how to turn an ice queen into a brunette dream with just a few simple tips and tricks..
Goddard, expert colorist to bleach blonde stars such as Reese Witherspoon, and Chloe Grace Mortez and part-owner of the West Hollywood salon Goddard + Bragg, has been making the interview rounds, giving the hair-raising scoop on what was like taking Kim K from midnight brown to snow white and back again. "It’s tricky to turn any dark hair to platinum. It was a lot of attention to detail!" Goddard told Glamour. Well, duh. Any brunette beauty who ended up frying their poor, defenseless locks in an attempt to achieve sun goddess status can tell you that. But how does one change such drastic color so quickly without ending up bald? Goddard and other top colorists weigh in on making the switch. While Kim managed to go from brown to platinum and back again in the blink of an eye, switching from her now-dyed dark hair back to blonde wouldn't be as easy. "Once you're totally dark again, you can't turn around and go back to platinum—there's no way to do that without tons of serious breakage," NY colorist Aura Friedman told Teen Vogue. The strand test that is. Before pouring questionable chemicals on your whole head, Goddard insists on testing the dye on a single strand first (and testing repeatedly throughout the entire LONG process). "Hair can be kept strong if the proper conditions are taken. The professional has to stay on top of the process and must implement an elasticity test every three minutes in random areas of the hair." "Make sure the hair is freshly cut and preferably uncolored for three to six months as that will yield the best results," Goddard shared with HuffPost Style. This one is obviously a given, but how can you possibly avoid the chemical overload? Goddard suggests, "begin[ing] the hair process away from the scalp working with ends first as the scalp exudes heat, which quickens the process." Going from black to blonde or blonde to black is a process that most colorists don't recommend you do in one fell swoop. Flip-flopping between such crazy ends of the color spectrum can cause some salon shock for some (unless you're Kim K, of course, who enjoys stopping the world from spinning). To prevent color fade-out, which is typically common for layers of dyed hair, Friedman suggests buying a color depositing conditioner, like Aveda's Pure Plant collection.